Based on the UK smash hit, our new trivia game show, Pointless, faces its players with questions from a wide range of topics and asks them to produce the least obvious answer. Incorrect answers get maximum points, while correct answers earn points equal to the number of people who gave the same response in a pre-show survey. The ultimate aim of the game, then, is to show off your knowledge whilst giving a ‘pointless’ answer – an answer nobody has previously thought of. 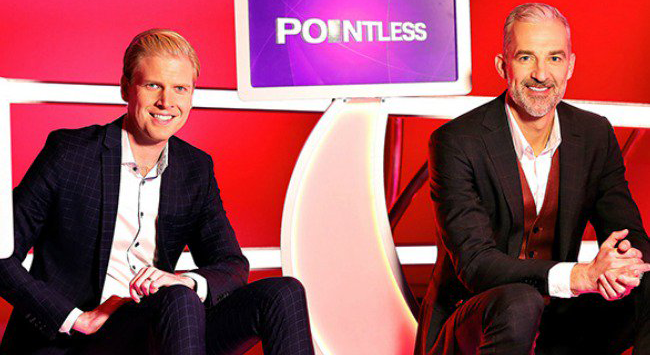 Hosted by Dr Andrew Rochford and Mark Humphries, Pointless airs 6pm AEST weeknights on Network Ten.